Edward Toan Galarneault passed away on December 10, 2018, surrounded by his loving family. Ed was diagnosed with cancer in November and faced the battle as he knew best, head on and on his own terms. Ed was born on March 26, 1941 in Aitkin, MN to the Honorable Judge John T. and Dorothy (Kuechenmeister) Galarneault. He spent his childhood in Aitkin as part of the “Galarneault Gang” along with his three brothers, John K., Rob, and Tom. 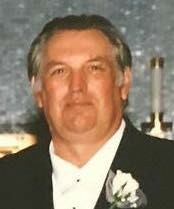 Ed graduated from Aitkin High School in 1959 and attended the University of Minnesota – Duluth, where he was a proud member of Jim Malosky’s football team. He formed lifelong friendships in Duluth and always enjoyed reconnecting with his Bulldog teammates. Ed graduated in 1963 with a BA in Business and Economics and then attended the University of Minnesota where he received his MBA. In 1964 Ed married Sharon Hulett and they began their life together, they welcomed two daughters Susan and Amy. Ed worked for Chrysler which took his family across the Midwest, residing in Rapid City, SD and Gillette, WY. In 1987 the family returned to Minnesota, Ed and Sharon made Pine City their home for the past 31 years. Ed loved his family most of all and was “proud as a peacock” of his four grandchildren. Ed respected fairness, candor, honesty, hard work, and most of all a good sense of humor. Ed is survived by his wife of 54 years, Sharon, daughters Susan (Dan) Schmidt of Maple Grove and Amy (Brad) Presley of Clive, IA. Grandchildren Zoe and Hayden Presley, Allison and Joe Schmidt. Sister-in-law Shirley Sword, Plymouth. Brothers John (Margarita) Golden Valley, Rob (Phyllis) St. Louis Park, and Tom (Carol) Delano; nieces and nephews. Preceded in death by his parents. Per Ed’s request memorial services will not be held. Memorials preferred to UMD James S. Malosky Football Scholarship or J.A. Wedum Residential Hospice, Brooklyn Park.